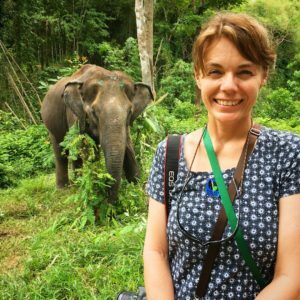 I've recently returned from accompanying my husband on a business trip to Thailand, and I had the wonderful opportunity to visit the Phuket Elephant Sanctuary in Phuket. They rescue older elephants from the logging and tourism industries and do so by directly purchasing the animals with charity funds. 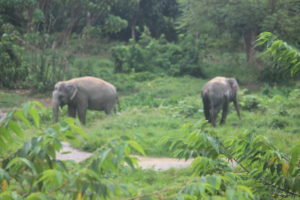 They currently have 8 elephants in their care, most of whom have health issues and/or injuries. 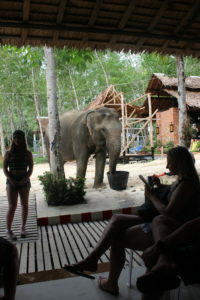 In Thailand, there are many opportunities to ‘ride' an elephant. Please don't support this industry. Training involves breaking a very young animal's spirit and the process is quite abusive and horrific. 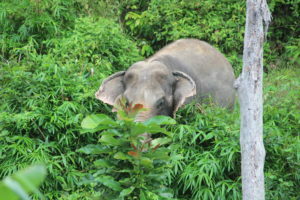 Additional tactics to keep the elephants in line are also harmful and kept well-hidden from the public. 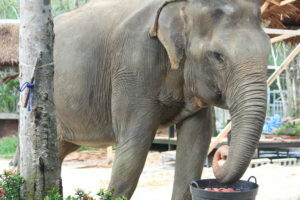 Phuket Elephant Sanctuary is one of several places trying to help these magnificent creatures. With love and thanks to the elephants for having us. I’ve never up closer and personal with an elephant, but I don love them from afar, so to speak. I have an aunt and uncle who lived on an elephant sanctuary for many years. I loved hearing their stories. I so enjoy reading about your travels. 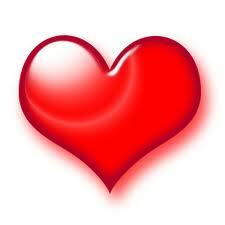 How wonderful for you aunt and uncle. They must have great stories. I may pick your brain one day about them!! Thanks for *traveling* with me.